On a construction project, there are numerous critical details that must be approached in a careful fashion. Many of these play a critical role in impacting the quality of the final project. Furthermore, because speed is obviously emphasized on every project, mistakes are bound to occur. But, by hiring a construction consultant, you’ll be able to gain knowledge on how to approach the construction process confidently. You’re already aware of the intricacies and delicate nature of construction projects. Nowadays, projects require much more responsibility when it comes to an overseer position and there is a much higher risk of failure. As a construction manager, it’s your responsibility to see over the entire project to ensure that it’s running smoothly from start to finish. It’s a crucial role that isn’t for everyone. Now, construction consultants aren’t just helping hands, they ensure that the project is taking advantage of every tool that they have available. This could mean effective work habits, time management, and procedures. They tend to offer services such as project planning and construction safety. By incorporating construction consulting with open mind, you’ll have a solid plan in place. Additionally, you’ll greatly increase the likelihood of positive results. It’s important to sit down with your consultant prior to bringing them to your project to discuss an overview of the details. 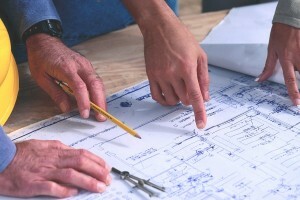 Then, they’ll be able to craft a construction plan that will meet your specifications. With this information, you’ll be able to keep your project running smoothly and timely. Bio: Lyle Charles is an experienced construction expert that can provide construction consulting services for your next project.